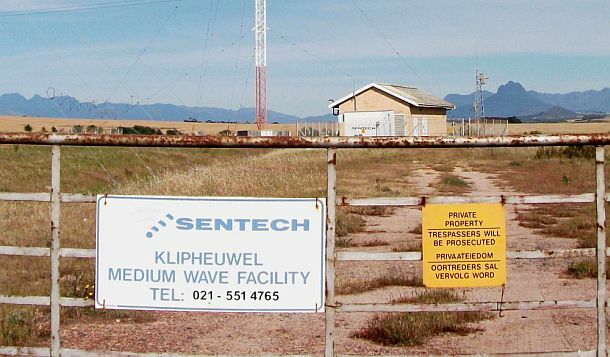 The mediumwave facility is situated on relatively high ground clear of mountains and has long been the preferred site for a radio transmitter and antenna system. 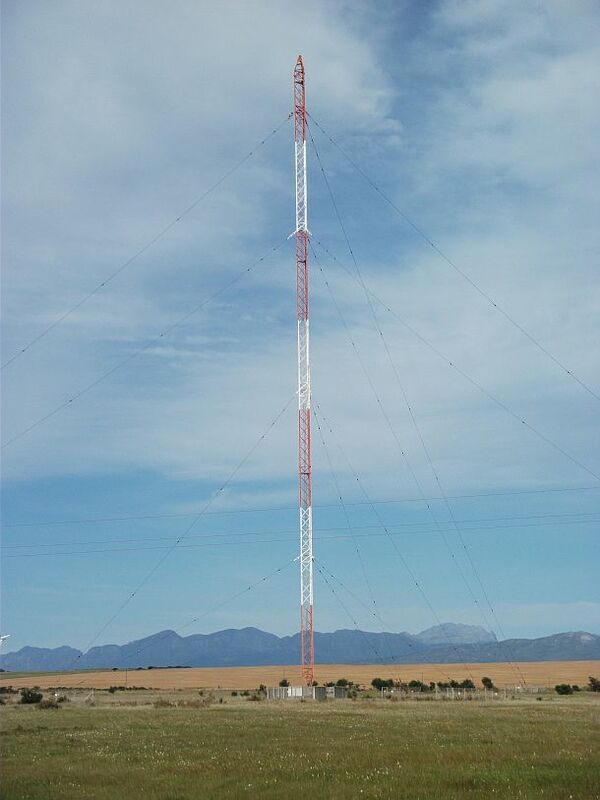 Marconi erected 245 meter high radio masts at Klipheuwel in 1923. This was part of a plan to establish long-wave radio links between London and the entire British Empire. 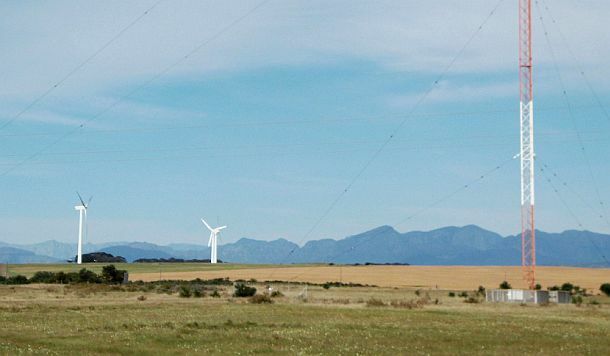 "567 Cape Talk" commenced broadcasting just over 13 years ago on the 14th October 1997. 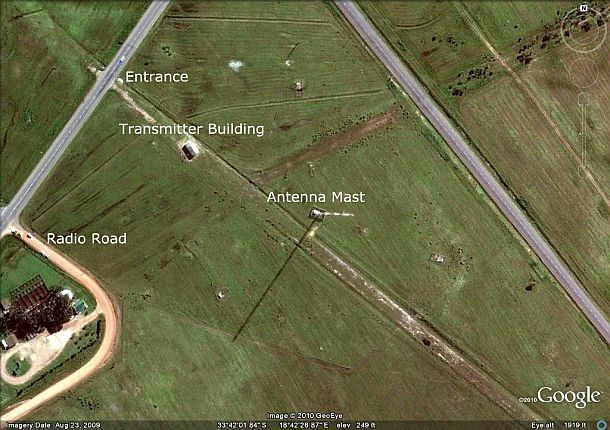 The antenna tuning hut at the base of the mast can be recognized. 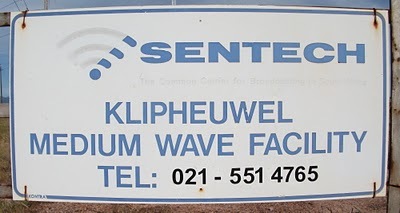 The sign at the entrance of the mediumwave facility at Klipheuwel.